As our roads become increasingly congested, safely navigating urban areas is an ongoing challenge for all road users. FORS has released more funded Safe Urban Driving and Van Smart dates nationwide, providing FORS members with the opportunity to improve the specific driving skills of their commercial HGV and van drivers required to handle those challenges. 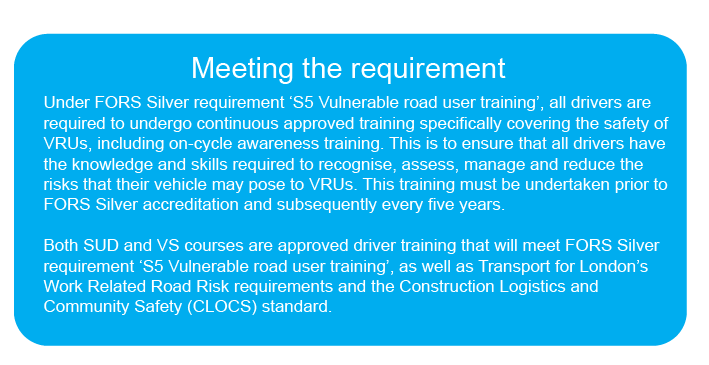 While Safe Urban Driving (SUD) is aimed at commercial drivers operating HGVs, Van Smart (VS) is targeted directly at van drivers; drivers are required to attend either SUD or VS, not both. Drivers of both HGVs and vans will need to attend SUD rather than VS. 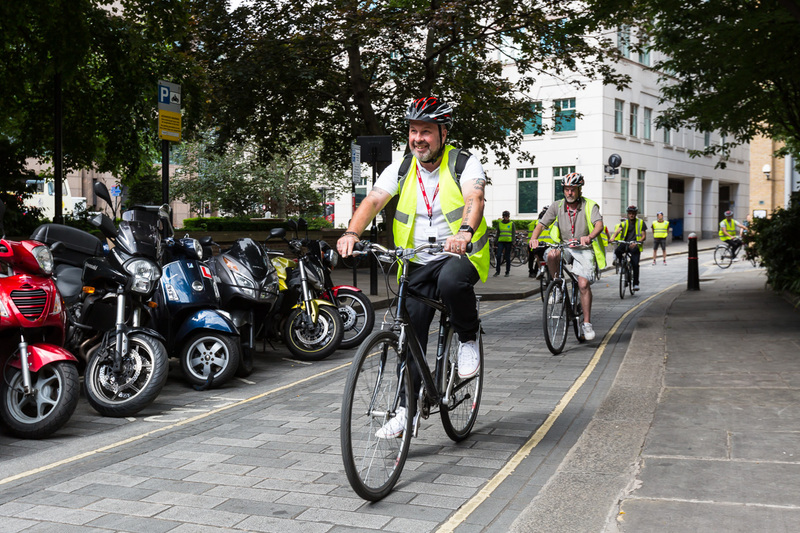 Both SUD and VS courses are seven hours in duration, Driver CPC accredited, and are each divided into two sections: a classroom theory unit and a practical cycling unit, where drivers experience a cyclist’s view of the road. Both units are delivered on the same day. To find out more and to book your place on SUD, please click here. To find out more and to book your place on VS, please click here.